Thirty years ago it was a man with an idea, a San Francisco beach, a bonfire, and one eight foot Man. Today, it is a community of 70,000 people, a much larger bonfire, and a Man that has stood as tall as 105 feet. The uniqueness of this event, and what stands it apart from others, is that the attendees (called “Burners”) create almost everything and participate in almost everything. Burning Man is definitely not a passive experience or for the feint of heart. This year, the event runs from August 28 – September 5. The Man always burns on the last day. Burning Man’s home is Black Rock City in the Nevada desert and during the event, this temporary community becomes the state’s third largest city. Burning Man started thirty years ago in 1986 by Larry Harvey, Jerry James, and a few of their friends. The first one was held on Baker Beach in San Francisco during the Summer Solstice. Harvey and friends fashioned a figure out of wood and set it ablaze. As people gathered to watch it burn, Harvey and James realized they had created a unique kind of community. The next year, they built a Man that stood 15 feet tall and the community grew to 80. Each year after, the event and the Man have grown in size. After four years, they realized they had outgrown Baker Beach, so in 1990, Burning Man moved to Black Rock City in the Nevada desert, where it has been held annually ever since. In 2004, Harvey wrote the 10 Principles that act as guides for the event. They are not rules per se, but rather are a reflection of the culture and spirit of the event. 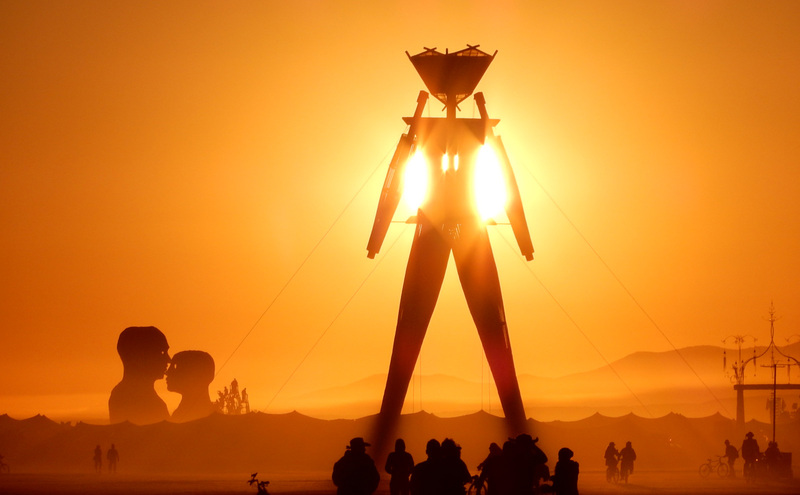 Today, Burning Man has grown in size and popularity, with Burners coming from all parts of the world. They come for the spirituality, the music, the costumes, the decadence, the sheer absurdity and theatrics, and, for five days, to be a part of a community unlike any other. Everything is built by participants, including the Burning Man, who gets torched the last night of the event. And, basically everything shoots fire. It will be the largest bonfire you’ve ever seen. Whether you are a group of one or 100, you must bring your own food, water, and any other beverages you want. This follows Radical Self-Reliance, one of the 10 Principles of Burning Man. The only two things you’ll find on sale at Burning Man are ice and coffee. Expect some crazy long lines for ice. It’s worth it – for the ice – and because all proceeds from those sales go to support local schools. Burning Man seems to inspire love, or at least marriage, as each year several weddings taking place during the event. If you go, take neon lights to drape around you when you go walking at night. Yes, they are a fun fashion accessory, but they are also a safety feature. In the desert darkness, those lights help other people see you – and you see them. The desert dust is extremely fine, gray in color, and you’ll be covered in it. If you ever wanted to know how you would look with gray hair, attend Burning Man and you’ll find out. Famous people attend Burning Man. Not so famous people attend Burning Man. People of all ages attend Burning Man. Ages range from 10 to over 70. There’s a post office, so send postcards to all your friends and family. Or maybe not. Some things may be better left unsaid. Adhering to one of the 10 Principles is to leave no trash behind. Everything you bring in, you bring out. After the event, volunteers comb the desert looking for MOOP – “Matter Out Of Place” – and scoop it up. Because it is a community affair, you’re expected to help. There’s a lot of work involved in setting everything up, and you won’t lack for ways to volunteer. And you’ll make friends along the way. Will Burning Man Stay the Same? For thirty years, Burning Man has been a place for people to build a community, to express their creativity, and to discover themselves. Where all are equals. While the Burning Man Principles still guide the event, there is growing concern that the event is changing. And some don’t think it is in a good way. Technology has shown up. Cell towers dot the landscape as well as art structures. Billionaires and celebrities have been known to show up in their private jets with their hired sherpas and private bodyguards. Glamp camps have gone for as high as $25,000. Rules have been introduced, to the dismay of many. Speed limits, bans on fireworks, and no dogs allowed are a few. In addition, there is a fence that surrounds the city. Burning Man founders hope they can create a dialogue between the new people who come with different ideas and those who have been coming for many years and don’t want to see any changes. 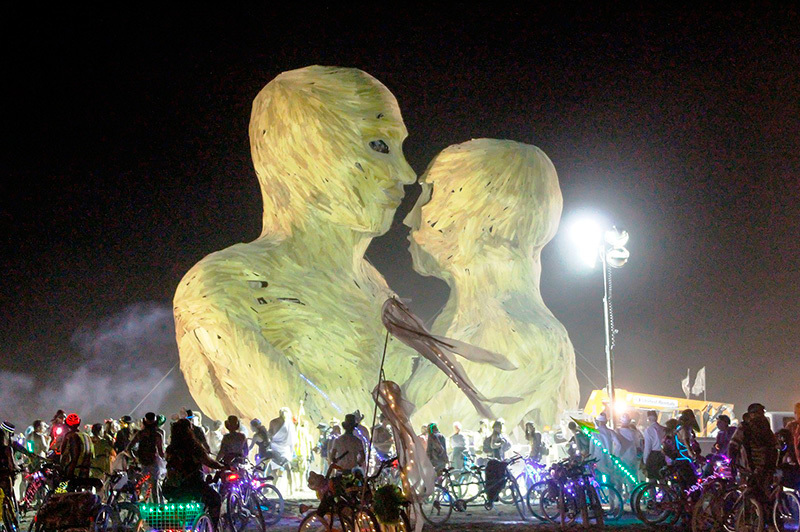 Time will tell if the spirit and culture of Burning Man adapt to the changes and lives on. While completely unplugging during Burning Man is appealing, the fact is it may not be possible for everyone. 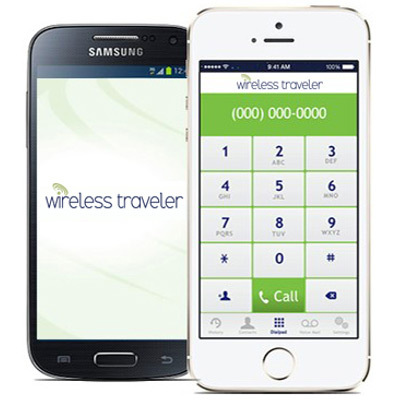 If you need to stay connected, consider renting a Satellite Phone. You can make and receive calls and text messages – even in the remote desert of Nevada. As long as you can see the sky, you can make a call.